Add some Middle Eastern warmth and sensuality to your home with Anya’s exquisite Turkish glassware, which adds welcoming appeal to any space. Lovingly handcrafted with traditional, artisanal skills. 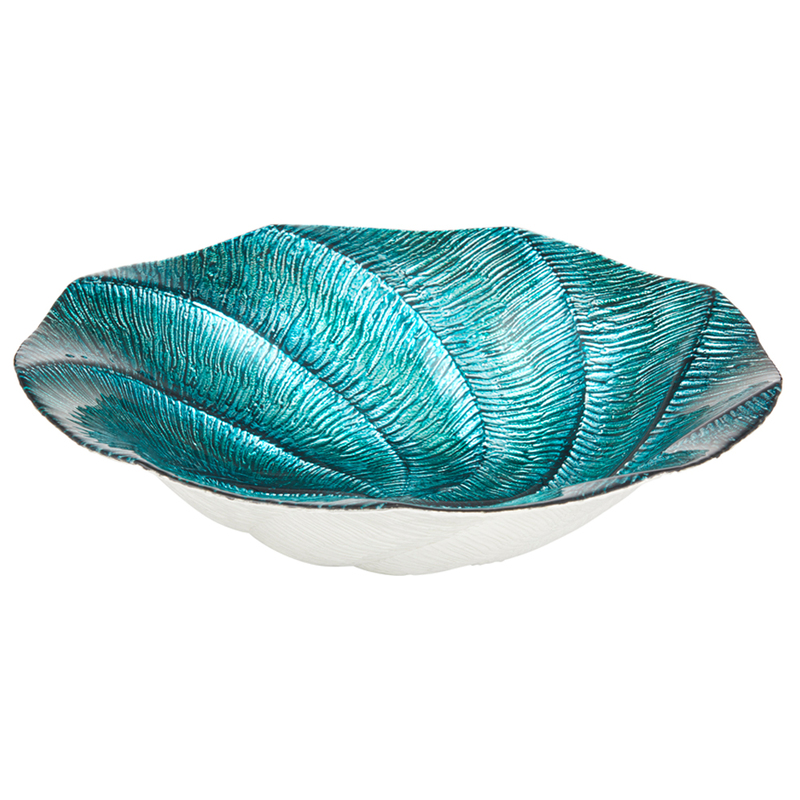 Anya’s collections include statement bowls and platters. These collections of intricate designs are perfect for serving food or just resting on a shelf to be admired. And just like true works of art, each one has subtle differences. This shimmering Aurora bowl, perhaps inspired by the northern lights in the sky features intense green, swirling out from the middle. You may wish to use it as a purely decorative bowl resting on a table or a shelf. Or put it to good use to serve fresh seafood or canapes. Entrancing with the colours swirling out in waves. Dimensions: 33cm (l) x 8cm (h).